Whether you’re looking for a simple ‘John’s Bucks Crew’ title or something a little more embarrassing to shame the groom, we have you covered. 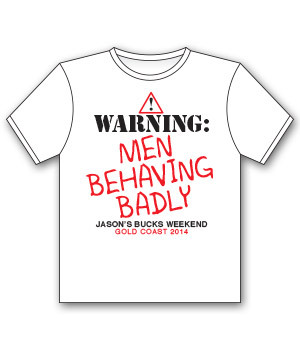 Personalise each crew members t-shirt or cop a generic ‘Warning, Men Behaving Badly’ Tee for the lot of you. 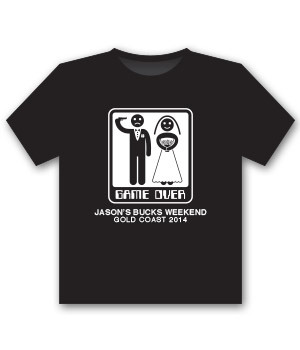 You’ll be hard to miss (or loose) with these matching T-shirts, get in touch with your party planner to order yours before the big weekend! 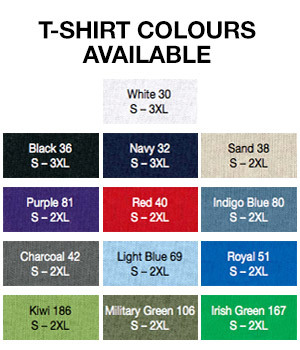 Choose from a range of colours and sizes on that classic T-shirt cut. Save yourself the hassle of what to wear on the town with some goofy but undeniably awesome T-shirts that’ll even attract some attention from the ladies… because who doesn’t love a man who isn’t afraid to take the mickey. We will deliver them to you before your party so there is ample opportunity to snag a cheeky picture before you hit the town. 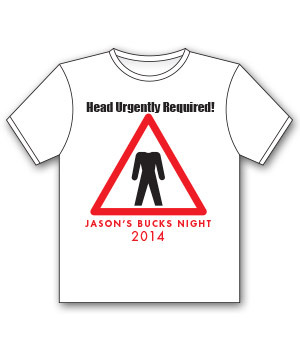 Get started designing your ideal bucks t-shirt today and get in touch with the Wicked Bucks Party Planners. It’s called Fashion baby, look it up. Contrary to popular belief, it’s not what you wear it’s how you wear it. 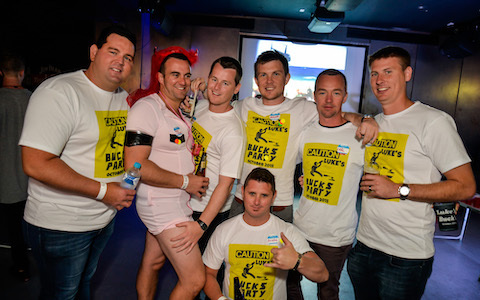 And it’ll be hard not to rock matching Tees with your best mates, especially after the help of some liquid confidence. It really doesn’t matter if it gets dirty, thats the point right! While the somewhat blurry memory of the Buck’s weekend will be hard to retain, this is a physical souvenir you and the boys will always have to remind you of the great time! 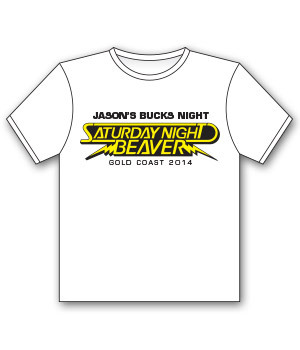 Think of the practicability of wearing matching Tees on your night out. 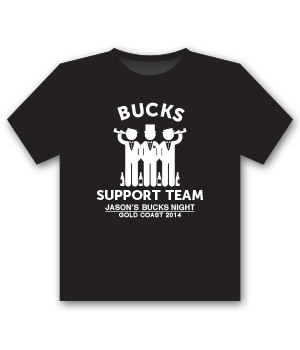 It will be MUCH easier to spot everyone and rally the team as you location hop. 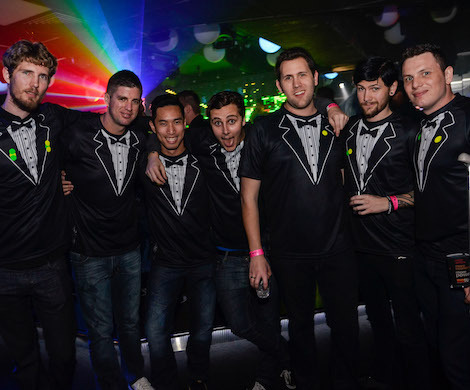 Oh and take the stress off picking with schmancy Ralph shirt you’ll be wearing to the bar (despite always going with the white one) and wear something COMFORTABLE. You won’t regret it. Putting in a few hours to research is required to ensure you get the best possible design to suit the boys and your party. 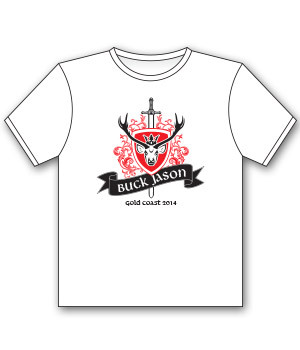 Consider how you want the design to go on the T-Shirt, is it just a small pocket logo or do you want something to cover the whole shirt? 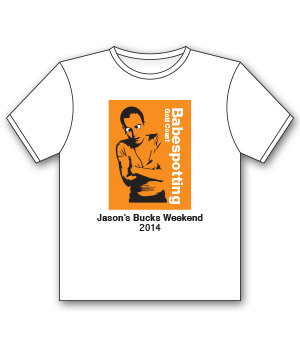 The Bucks TShirt needs to stand out of course! 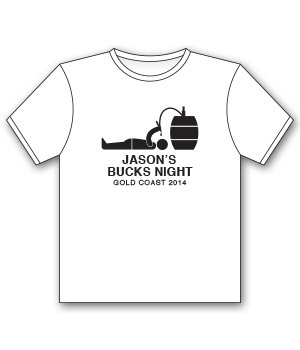 Make sure you have something different which is guaranteed to let everyone know this guy is the bucks. Maybe a lost and found number can come in handy. Once you have an idea or design that you like, send this through to the Wicked Bucks party planning girls for the final feedback and approval. Once the party planning team have recieved your final design and confirmation. 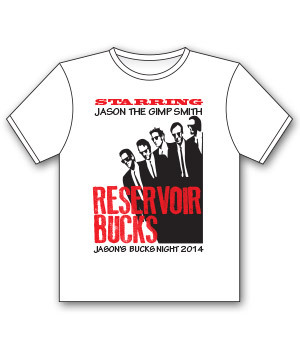 The bucks team will send away to the printing company for your T-Shirts which will be delivered to you before your party.